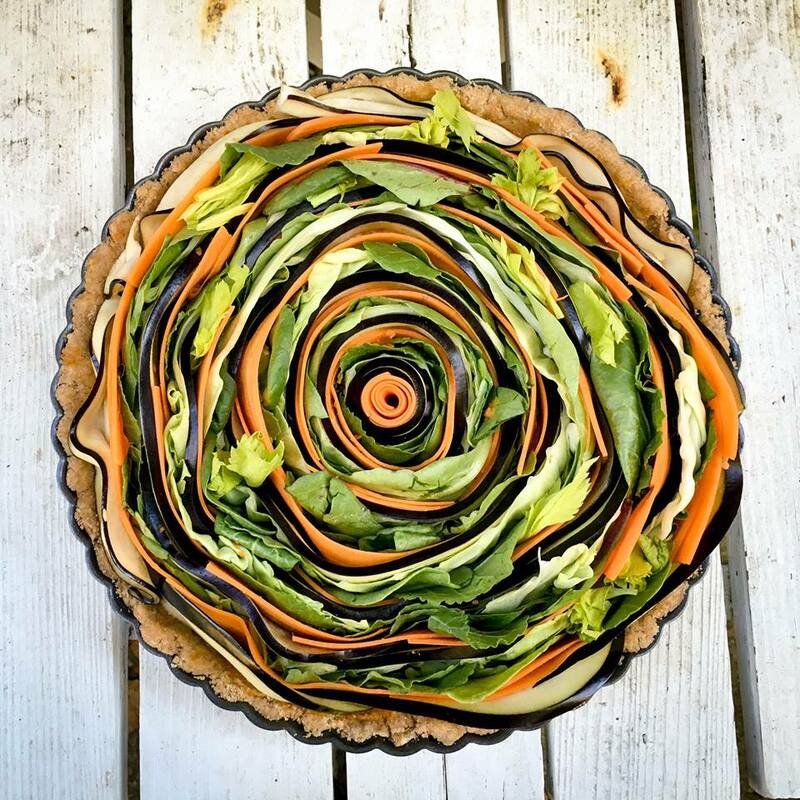 Here’s what one of our team members made for Thanksgiving dinner last year- a fancy vegan spiral vegetable tart based on a recipe by the Colorful Kitchen. 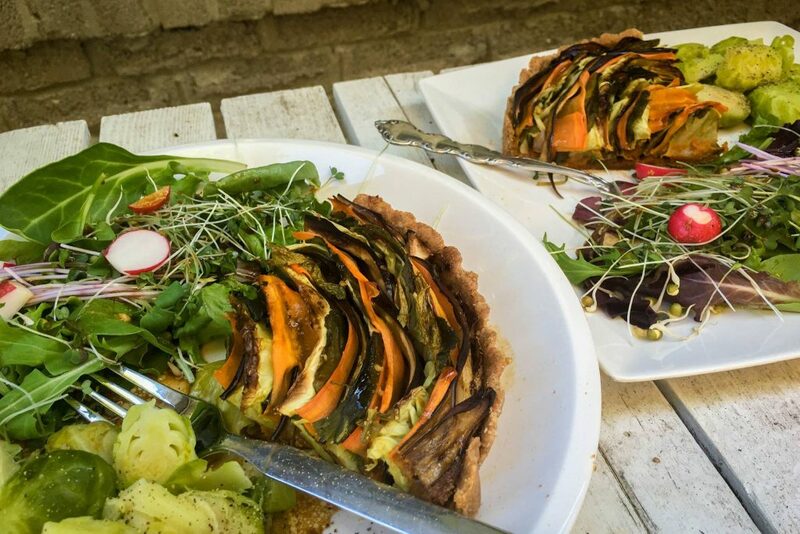 She served the savoury tart with steamed brussel sprouts and a salad of mixed greens drizzled with homemade dressing. And for dessert? 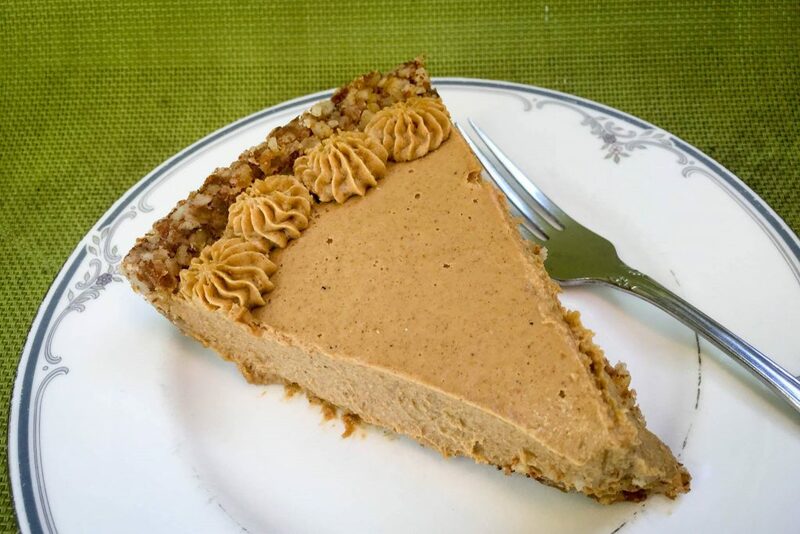 A slice of raw pumpkin pie from Rawlicious Guelph! If you prefer to make your own you’ll find the recipe in the Rawlicious at home recipe book.